The TC Electronic Vortex Flanger Pedal is designed with 2 powerful flanger effects, with the choice between a classic pedal flange or a massive 60s sounding tape-flange. 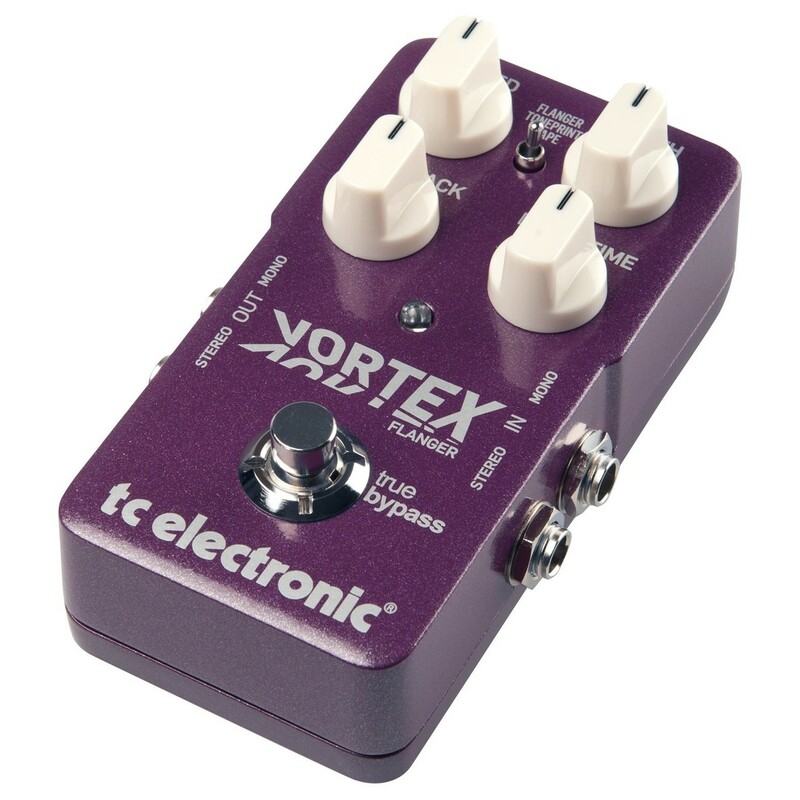 The pedal also works with TC Electronic's TonePrint, offering a wide range of artist created tunings to be applied to the pedal, expanding the Vortex pedal's tonal possibilities. Speed, depth, feedback and delay-time controls offer a creative and expansive palette of tonal options, letting players dial in the perfect sound for their playing style. Enclosed within a rugged metal chassis and perfectly stage ready, the TC Electronic Vortex offers an incredible range of sweet flanging sounds to create amazing soundscapes and enhance your tone. 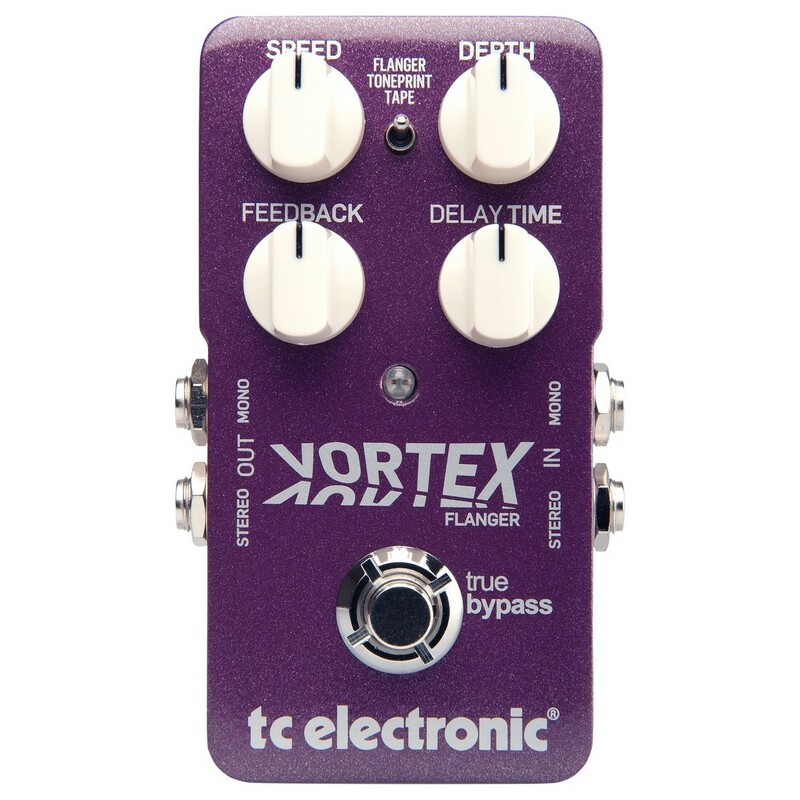 The Vortex flanger delivers a range of high quality tones, with true bypass and an analogue-dry-through design to maximise tonal integrity and clarity. The pedal features the option between a classic or tape flange effect, letting you create subtle chorus tones to complete psychedelic sounds. An extensive range of controls provide the perfect amount of tone shaping to create an array of flange sounds, while the stereo ins and outs lets you connect up dual amps for when you require ultra-wide flange sounds. Designed with a durable metal chassis to protect the internal components against moisture and wear, the pedal’s small footprint ensures it takes up as little room on your pedalboard. Easy battery access provides quick power changes when there is no option for mains power, letting you enjoy the pedal without much distraction. Its simple design offers user-friendly operation, and is the perfect choice for beginners. Each control knob features rugged edges, which allows you to control it with your foot in live situations. TonePrint is a powerful way to create different sounds from the same pedal, offering a range of custom designed settings which completely re-tune your pedal, including the sound and how the pots react. 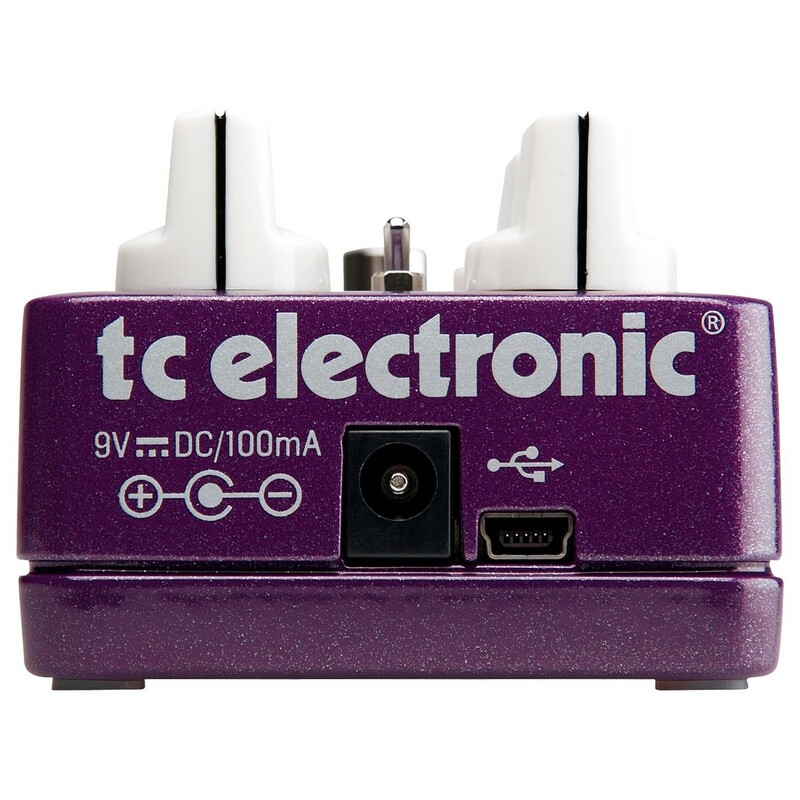 TC Electronic have collaborated with some of the best guitarists in the world to provide you with instant access to their amazing sounds. Connect the pedal to your computer to change settings, or download the TonePrint app and wirelessly transfer the setting through the guitar’s pickup. Update your pedal with custom made settings by checking out the list of TonePrint’s available here.